Sonmore High School was quiet at midday, quieter than it had ever been. Most of the students were in class. A small group was hiding under the bleachers out by the football field. One of them had a packet of cigarettes, stolen from his mother. A couple of young lovebirds had snuck into one of the supply closets to fool around. Ms. Tanner was writing out an equation on the board. Her chalk slid along the slate surface without making a sound. Her students looked at each other in confusion. Mr. Patrick’s class had been giggling about his odd haircut mere moments ago. Their grins turned to shocked stares as their voices died in their throats. Stacy Hicks had been reading aloud from MacBeth in English class. She continued sounding out the words, looking around the room for any signs that the others heard her, growing more frantic as she saw the fear on their faces. The boy by the football field dropped his cigarettes when he could no longer hear his friends joking amongst each other. The couple in the supply closet screamed when their loving moans died away, but nobody heard them. Not a sound was heard anywhere in the school. No talking. No yelling. No laughter. No droning lectures. No footsteps. No heartbeats. Ms. Sybil walked into the library with a smile on her face. Silence at last. Just the way she liked it. Over who controls the cosmic light switch. Written for Three Line Tales: Week Fourteen. They stared at her, unable to voice their horror. She smiled and returned to her book. Peace at last. Their silence was her reward. 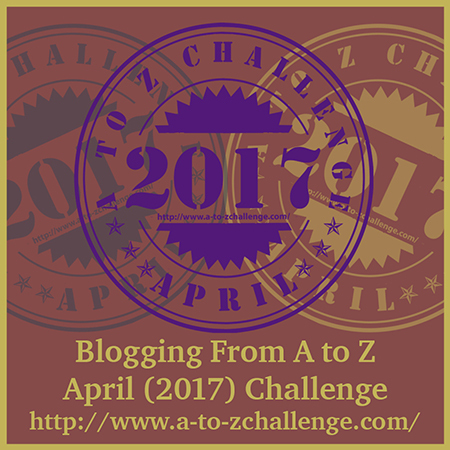 I fell behind on Three Line Tales over the past month or so because of the April A to Z Challenge and various other matters that were pestering me for my attention. It’s time to get back into it. And I intend to catch up on all the prompts I missed, starting with Week Nine. Well, it looks like 2016 is off to a pretty great start in terms of writing! My entry for Last Week’s Three Line Tales went on to become my most popular post yet, which is pretty awesome! If you haven’t already, you can check it out here. 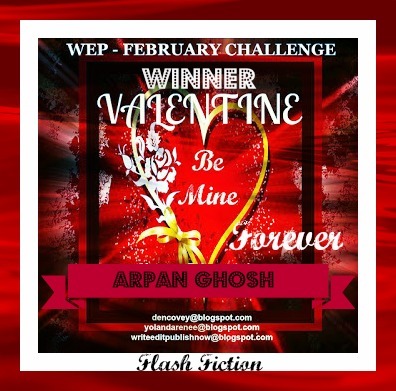 And just yesterday, I got an email thanking all the writers that participated in the WEP Valentine’s Challenge and announcing the winners. As it turns out, I had the winning story! When Yolanda and Renee at WEP announced that their first challenge of the year would be related to Valentine’s Day, I was stumped. Romance is not my genre at all, and I didn’t want to attempt to write something sappy. Part of me considered skipping it altogether, but then what’s the point of a challenge if you’re not going to challenge yourself? So I decided to give it a shot. After a lot of thinking and several abandoned ideas, I finally came up with something that seemed like it would be a worthy entry. I was pretty happy with it overall, considering how reluctant I’d initially been about writing it. And it seemed to garner quite a bit of praise when it was submitted. But to win? That was completely unexpected! 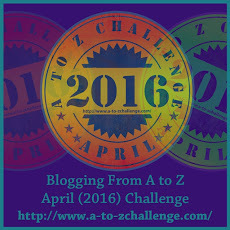 And now, I’m more eager than ever to dive into more challenges and see where they take me! The full list of entries can be found on the WEP Challenge page. I’d recommend reading them all. I had submitted another short tale to The Drabble last month, and was delighted to see it published yesterday!